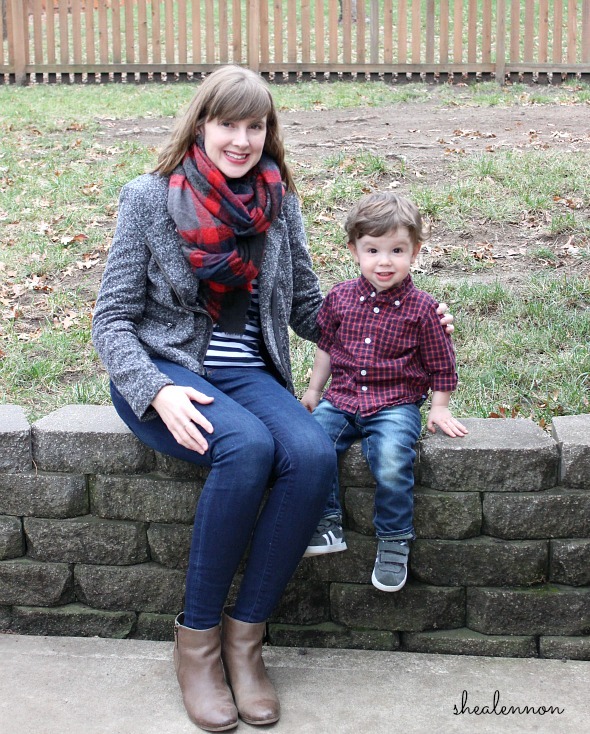 This year, Ada of Elegance and Mommyhood asked me to be a part of a special mommy and child Christmas post with a few other bloggers. Of course I agreed; you know there's no arm-twisting needed for me to coordinate with Jona and put him in a blog post. Be sure to check out all the blogs below to see more of them and their adorable families. Of course I love seeing beautiful, professional family photos, but I think these real-life, unposed glimpses into real life are even more precious. 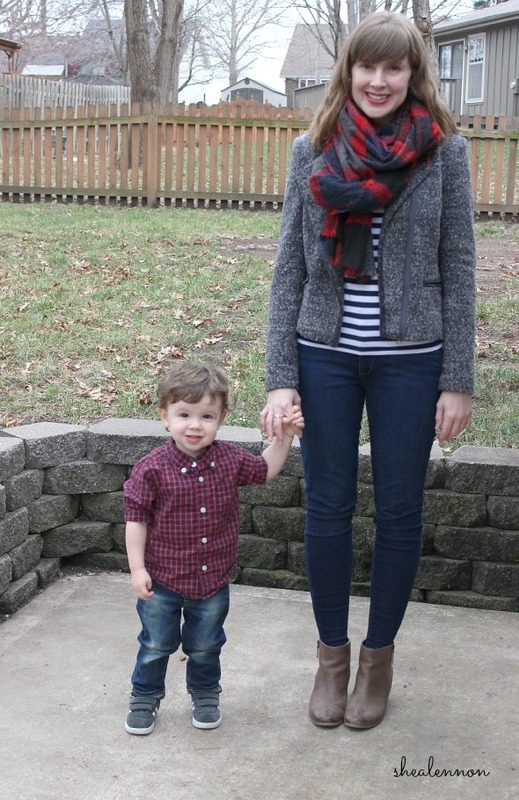 Last week I talked about making everyday outfits a little more glam for the holidays. While I love the excuse to get dressed up, the reality is that for us, Christmas day itself is a pretty casual affair. No matter which side of the family we spend it with, we usually just hang out, chat, and eat. Therefore, I like to wear something both comfortable and festive for our family Christmas. 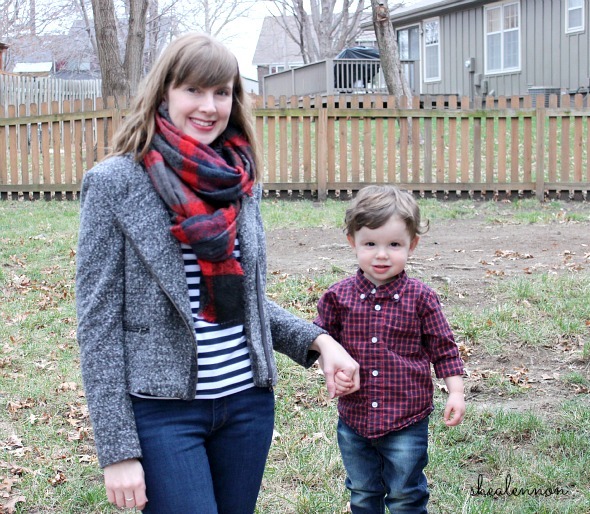 Jeans, stripes, and boots are a favorite, and my red plaid blanket scarf looks Christmasy and keeps me warm. And while I still can, I like to coordinate Jona with me as well. For him, I chose this red plaid shirt with jeans and gray sneakers. What do you usually do for Christmas? What are you planning to wear? Linking with Mix it Mondays, Let it Shine, A Lovely Little a la Mode, On Trend Tuesdays, Bloggers Who Have Inspired Me. 5 years ago: double denim with a side of plum.